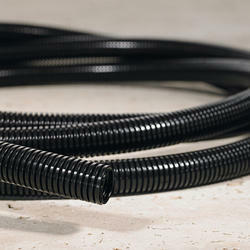 Manufacturer of a wide range of products which include polyurethane coiled hose and polyamide conduit pipe. 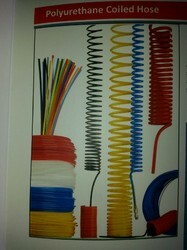 POLYURETHANE coils possess outstanding memory , a soft feel and superior flexibility . These coils are extraordinary tough and resistant to abrasion , overstretching , kinking and repeated flexing . Coils have two straight tails , one that is 8" long and other that is 16" long . Makes networks upgradeable without any civil modification. Ribbed Wall is ideal for pulling or jetting cable. Interior ribs reduce surface contact with cable during installation. Looking for Polyurethane Rod & Sheets ?